The history of the Baltic Defence College reflects the ongoing challenges and opportunities facing the militaries of the Baltic States and their governments. The Baltic Defence College has continually sought to be at the forefront of professional military education to ensure its graduates are well prepared to meet the challenges they will face throughout their career in war and peace. Within a year of regaining their independence, the Defence Ministers of the three Baltic States agreed to cooperate in officer education. This cooperation was formalised in 1998 with the signing of an agreement establishing the Baltic Defence College in Tartu, Estonia – with English as its working language. As the militaries of the Baltic States matured and with NATO membership imminent the Baltic Defence College shifted to a more global focus emphasising joint expeditionary planning at the operational level. This new emphasis was embodied in the college’s new course – the Joint Command and General Staff Course (JCGSC) – and the replacement of the Colonels Course with a standalone multinational Higher Command Studies Course for senior officers and civil servants.Shortly afterwards, Danish Brig. Gen. Michael H. Clemmesen was appointed the first Commandant of the Baltic Defence College. Seven months after Clemmesen’s appointment the Baltic Defence College welcomed its first students in August 1999 to the Senior Staff Course. The first class of thirty-two students from eight countries was a great success, and the Baltic States – recognising the need for further professional development and education of officers – tasked the Baltic Defence College with developing courses for colonels (Colonels Course) and mid- and high-level civil servants (Civil Servants Course), both of which commenced in 2001. Lithuanian Brig. Gen. Algis Vaiceliunas was appointed the Baltic Defence College’s second Commandant in December 2004. Gen. Vaiceliunas’ tenure was highlighted by refocusing the JCGSC towards the joint operational level and the creation of the Army Intermediate Command and Staff Course to provide land force officers with tactical brigade level education and prepare them for the JCGSC. In December 2007, Latvian Brig. Gen. Gundars Abols was appointed the Baltic Defence College’s third Commandant. General Abols’ tenure saw the adoption of an improved assessment system that complies with the Bologna Process, a much improved information technology system and the decision to conduct the JCGSC every year. Estonian Brig. Gen. Meelis Kiili became the Baltic Defence College’s fourth Commandant and the first graduate of the Baltic Defence College to command the college in December 2010. Gen. Killi committed the college to the twin pillars of education and research. In December 2012, Maj. Gen. Vitalijus Vaikšnoras became the second Lithuanian Commandant of the Baltic Defence College. General Vaikšnoras developed the Baltic Defence College towards being a future oriented, progressive, modern, attractive and competitive military educational institution and under his leadership the Baltic Defence College deepened its engagement with sister professional military educational institutions and academic institutions throughout the Wider Baltic region. Finally, in August 2016 Latvian Major General Andis Dilāns of the Latvian Army became the second Latvian Commander of the Baltic Defence College. Major General Dilāns is confident that the Baltic Defence College has established its firm and strong place as an educational institution, therefore the main focus of the BALTDEFCOL is on quality and customer satisfaction, making the institution even more effective in responding quickly to tremendous security, political, economic, social and environmental changes that the current world is facing. 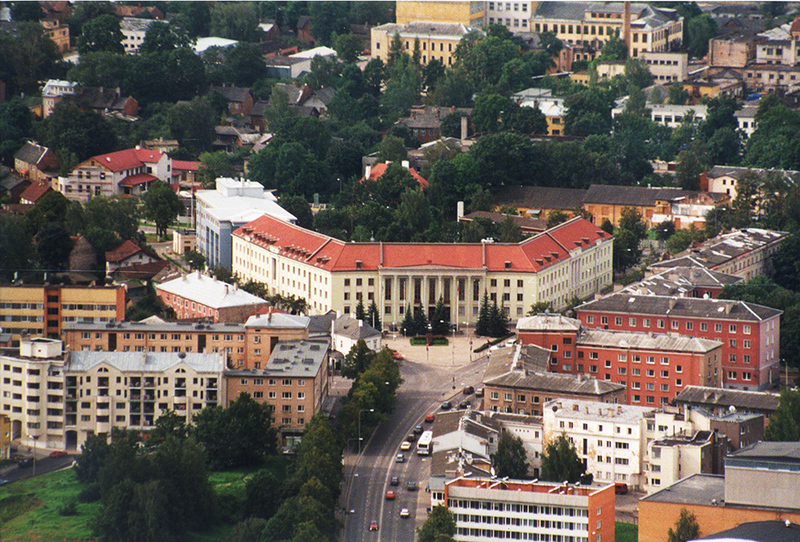 The Baltic Defence College is located in the right hand wing of the building on 12 Riia Street in Tartu, Estonia. Key educational activities occur in the the Björn von Sydow Hall (one-hundred seats) and the Admiral Cowan Hall (fifty seats). The former bears the name of the former Swedish Minister of Defence and the latter was named after British R. Adm. Sir Walter Cowan, who provided assistance on the behalf of the United Kingdom to Estonia and Latvia during their respective wars of independence in 1919-1920. In honour of the Baltic Way, formed in 1989 linking citizens of the Baltic States, in pursuit of the Baltic States' independence, the third-largest room has been named the Baltic Way Room. The Hans Hækkerup Room and ten seminar rooms provide additional educational space. The History of the Baltic Defence College. The First Fifteen Years. The Story of a Successful Multinational Endeavour.